PRAYER AND DEDICATION – What Causes Severe Mental Illness, Psychosis and Mania? Lord God, Who has graciously chosen Saint Dymphna to be the patroness of those afflicted with mental and nervous disorders, and has caused her to be an inspiration and a symbol of charity to the thousands who invoke her intercession, grant through the prayers of this pure, youthful martyr, relief and consolation to all who suffer from these disturbances, and especially to those for whom we now pray. 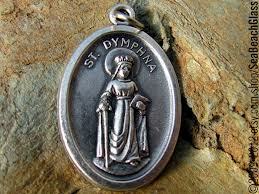 We beg You to accept and grant the prayers of Saint Dymphna on our behalf. Grant to those we have particularly recommended patience in their sufferings and resignation to Your Divine Will. Fill them with hope and, if it is according to Your Divine Plan, bestow upon them the cure they so earnestly desire. Grant this through Our Lord Jesus Christ.